Maui Bicycling League, with the support of Hawai’i Tourism, is holding monthly guided rides called Maui Cycle Exploration! 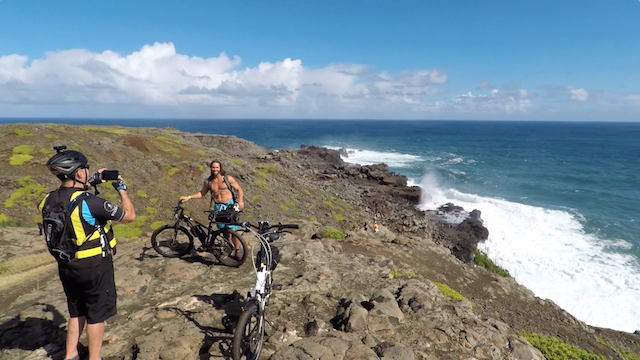 Rides take place all over Maui, and riders get to experience the beauty that Maui has to offer while meeting great people and enjoying the outdoors. Routes are accessible to riders of all ages and skill levels. Go to mauibike.org/events and sign up for the next Maui Cycle Exploration with Maui Bicycling League! In addition to the riding events, Maui Bicycling League is an advocate for separated multi-use pathways or greenways, to ensure that all residents and visitors of Maui have access to safe transportation options for pedestrians and bicyclists, as well as motorists driving on Maui’s roads.